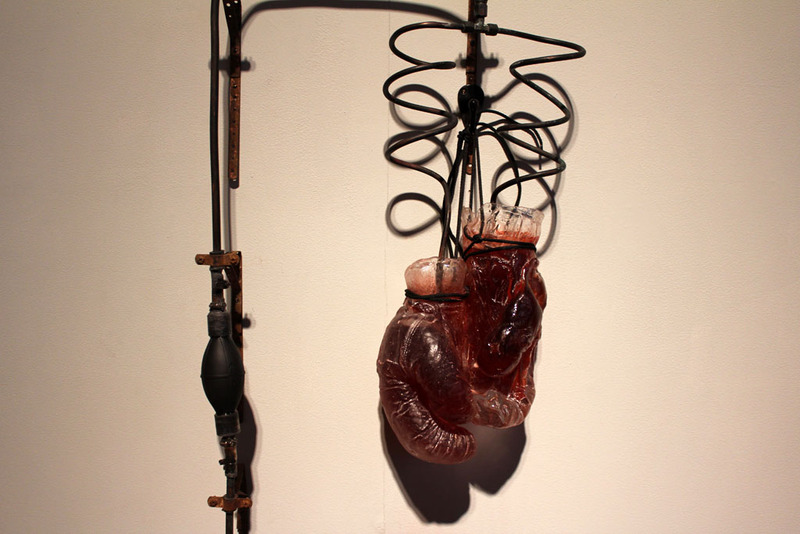 College Park, MARYLAND — Alison Saar’s powerful work evokes a visceral, emotional reaction. 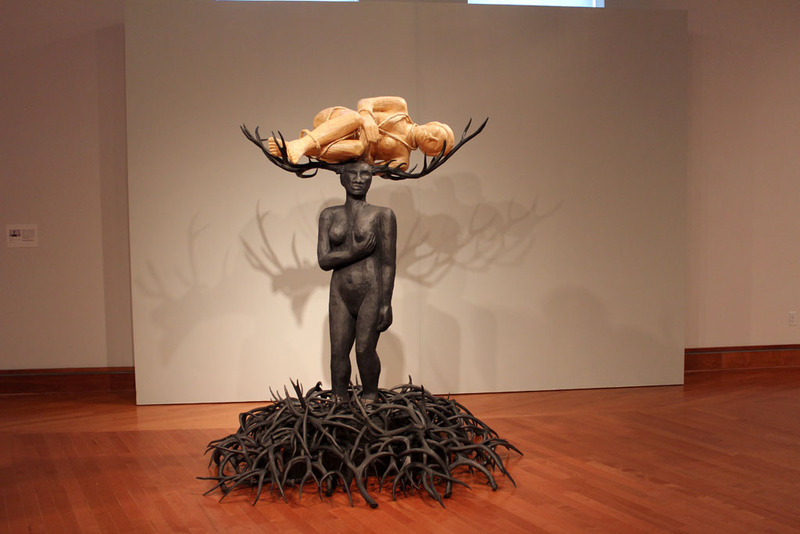 Her creations are conceptual, sturdy life-size sculptures with a feminine sense of pride (while sprouting antlers) and mixed-media works composed of found objects that are heavy with historic and cultural burden. 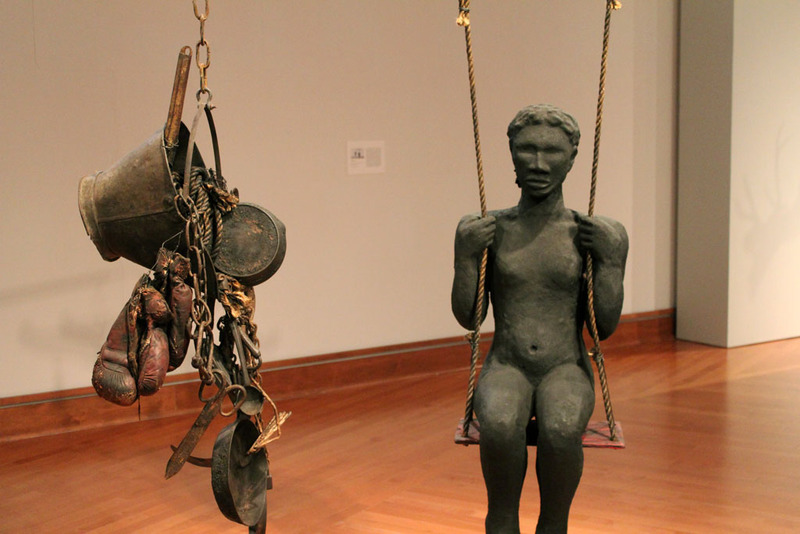 Each work is accompanied by label explaining in great detail its composition and symbolism. 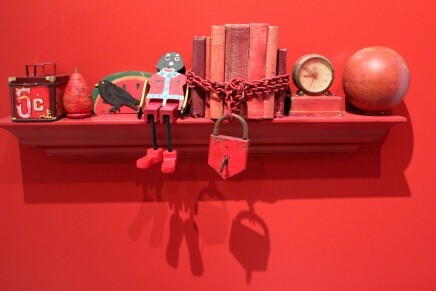 Yet, according to the gallery, Los Angeles-based Saar “refuses to explicitly define her pieces, instead wishing that people use their own experiences to draw meaning from them, rather than being told what they mean.” It’s a challenging exercise. 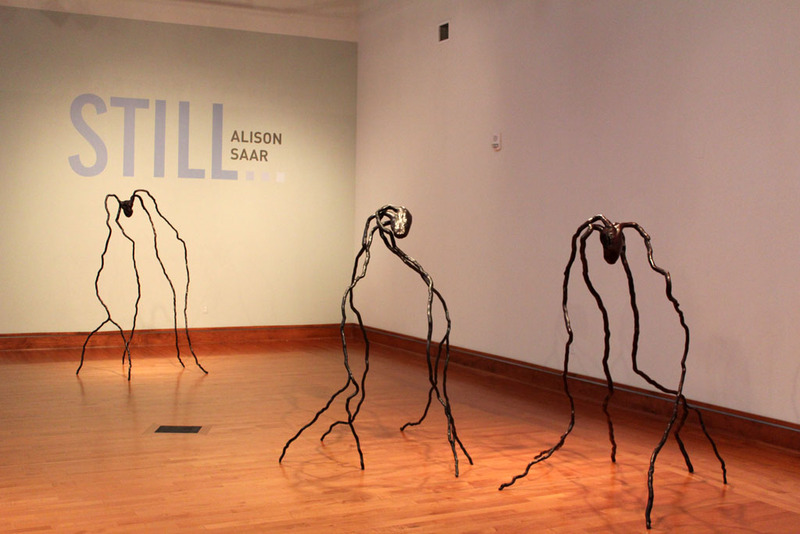 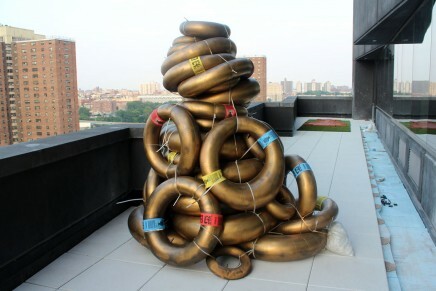 “Alison Saar: Still…” is composed of 11 sculptures made in 2010 and 2012—six are new and four are being exhibited for the first time. 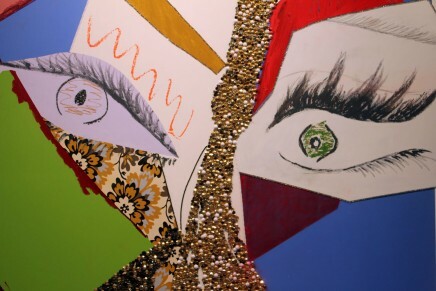 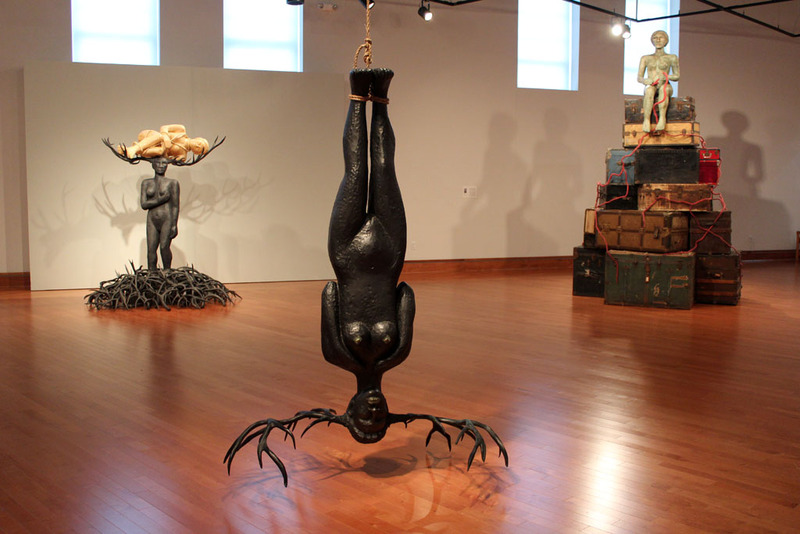 The collection is on view at the David C. Driskell Center at the University of Maryland, College Park, from Sept. 12 to Dec. 13, 2013 (today is the last day). 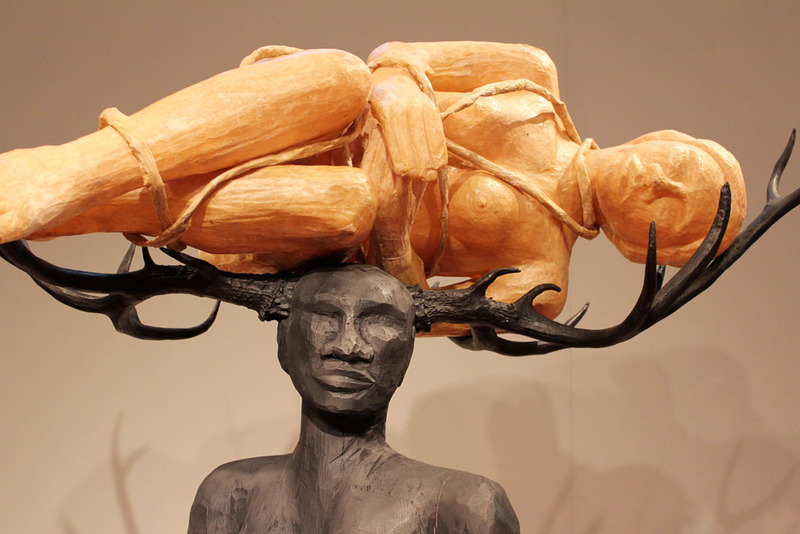 “Rouse,” 2012 (wood, bronze, fiberglass and antler sheds). 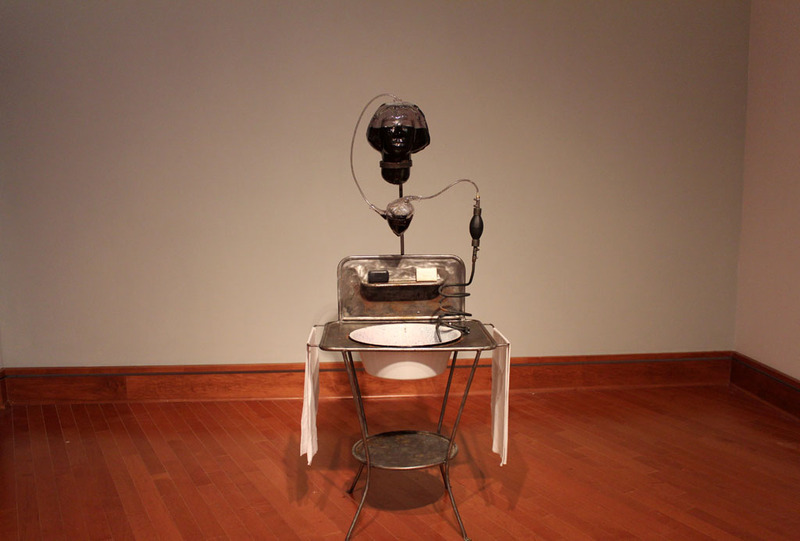 “50 Proof,” 2012 (glass, copper, rubber, steel, soap, cotton textiles, enamel basin and water). 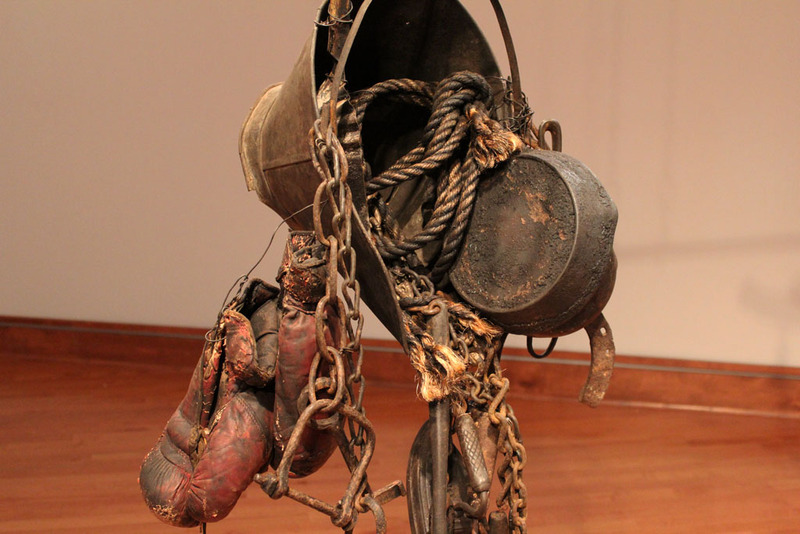 “Weight,” 2012 (wood, rope, cotton scale and miscellaneous objects). 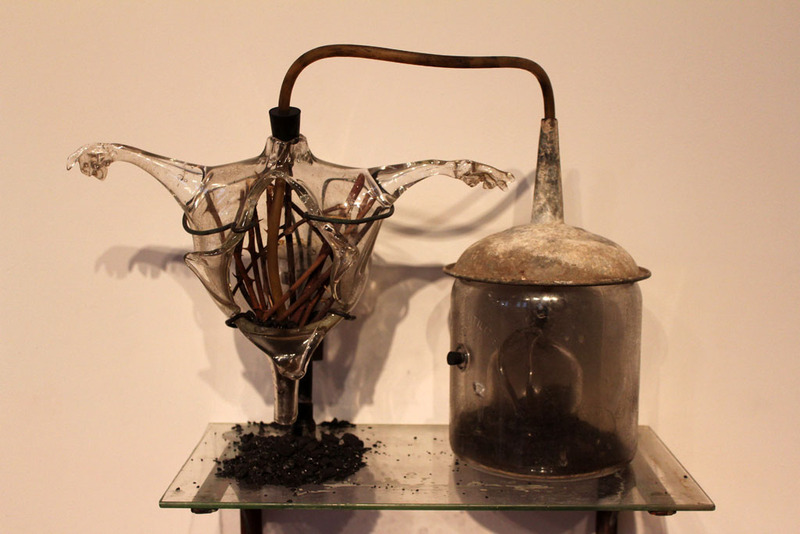 Detail of “Black Lightning,” 2012 (glass, shoestrings, found mop, bucket and water). 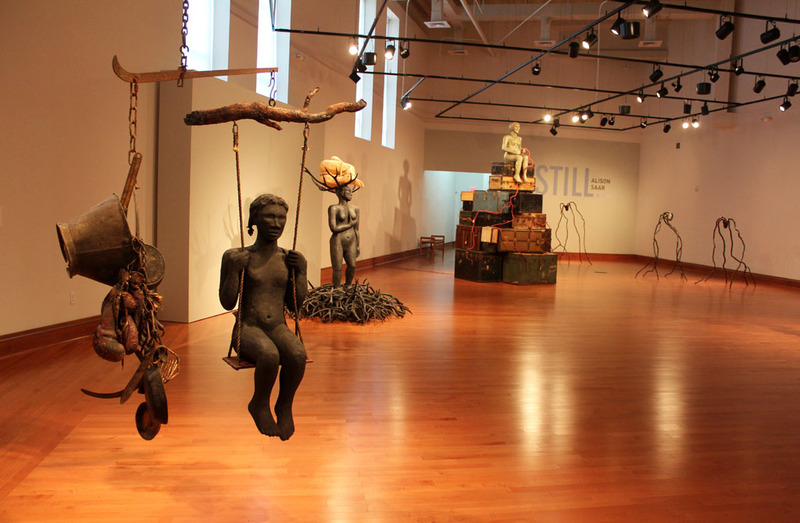 “En Pointe,” 2010 (wood, bronze, graphite and rop), with, from left, “Rouse” and in the background. 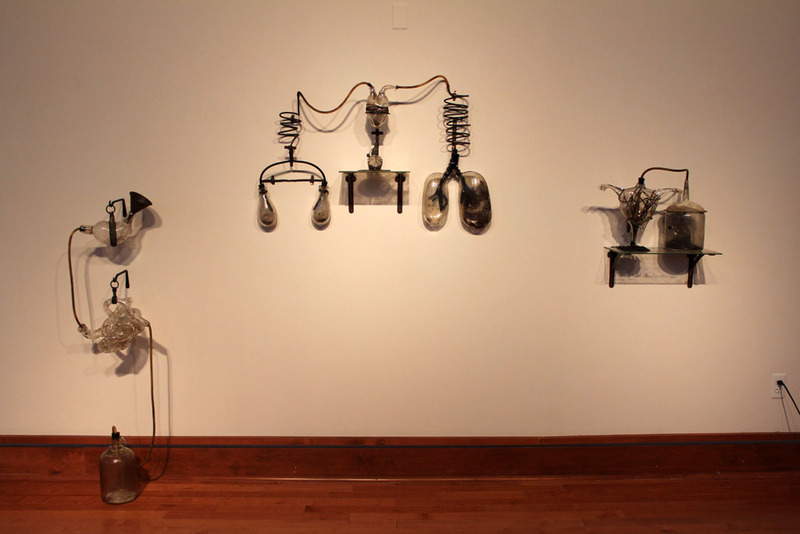 “Still Run Dry,” 2012 (glass, copper, rubber, lead and steel). 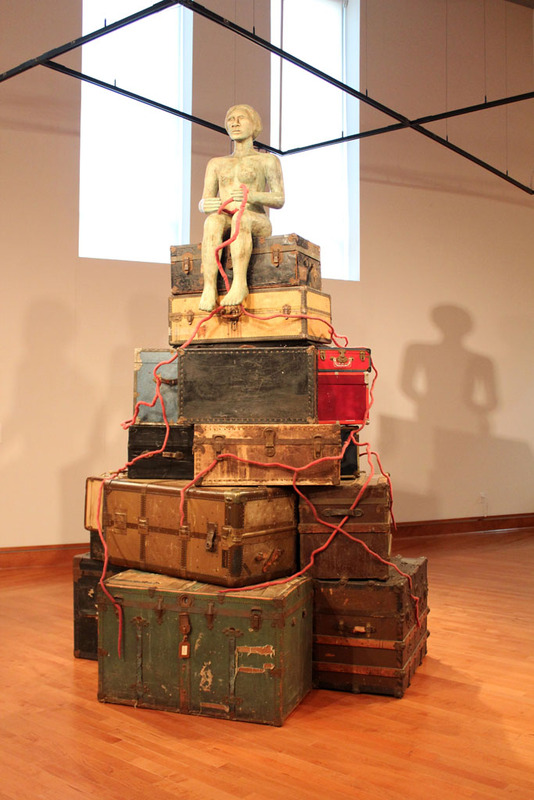 “Vestige,” 2012 (fiberglass, wood, audio, found luggage and trunks).